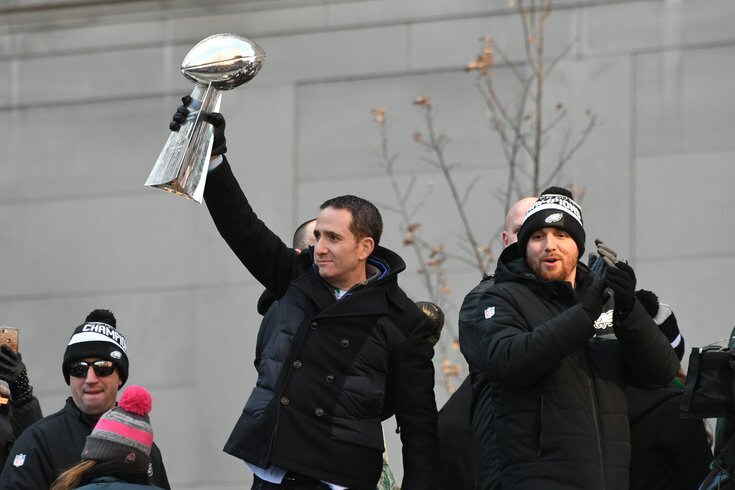 What is Howie Roseman's burner account on Twitter? The Philadelphia Eagles held their second media-attended OTA practice on Tuesday, and it was a lot calmer than last week, when Mychal Kendricks got released, Paul Worrilow tore his ACL, Brian Dawkins left the team, and it was revealed that the Eagles turned down a decent offer for Nick Foles. Got questions or comments? Jimmy Kempski has you covered on whatever may be on your mind about the Birds. How did Wentz look on Tuesday? Can we expect him to be ready for Week 1 of the season? Any early standouts in spring practices so far? What is Howie Roseman's burner account on Twitter? MORE: Eagles OTA observations: Another young corner emerges | Video of Carson Wentz throwing at Eagles OTAs | Nick Foles on trade rumors: 'I never turned down anything, we never talked about anything' | Eagles' Mike Groh explains why a new offensive coordinator won't disrupt Wentz's development | Which Eagles players could still be traded this offseason?